So. A somewhat crappy year is ending for me in approximately 9 hours. And in the morning, I will watch Ten’s ending. Yes, boys and girls, I refer to the last episode of Doctor Who starring the Tenth Doctor, David Tennant. The writing, the direction, and most of all David’s acting, will have me crying. David is far too good at the sad scenes. But I look forward to seeing Matt Smith on the show. I think he can do it, and he’ll do it in his own special way, and it will be brilliant. No, he isn’t as attractive as David. But that doesn’t mean he can’t act, for gods’ sake. I have been so irritated by all the girls online who are saying really hurtful things about Matt simply because he doesn’t fit their pattern of ‘cute’. He is a very good actor, he is a very sweet person, and he is a human being. Matt probably wouldn’t give most of those girls a second look either, so .. stuff it. Gah. Just had to have a little rant about that. 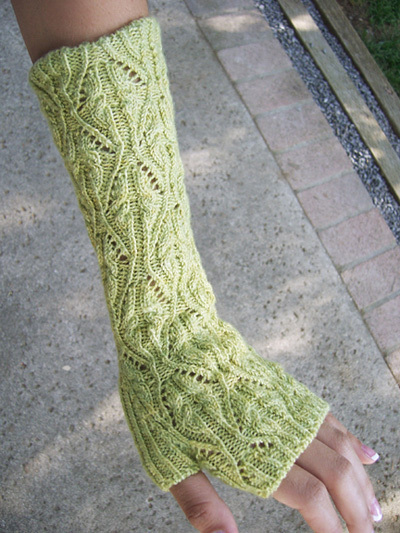 I finished my elbow-length, fingerless gloves. I still haven’t taken a picture of them. So for now I’ll just say that they look like this, but mine are dark charcoal grey. That’s pretty much all I’ve been doing. Knitting. Oh yeah, we had a freak snowstorm here in Portland on Tuesday. And my friend & I still went downtown to meet up for a few hours! Ha! Buses were sliding all over the place because they weren’t prepared with tyre chains. One of the smaller buses slid sideways and slammed into a tree about 15 feet from me at the transit center. Kind of scary. But the snow was beautiful, and a lot of fun to walk in. On my way home, I stopped at an un-trodden place in a schoolyard and stepped out a huge MUSE logo and took pictures of it. Still haven’t posted it on their messageboard. lol. I am geek, hear me roar. Posted 31 Dec 2009. Tagged Doctor Who | knitting | Rant | Weather.